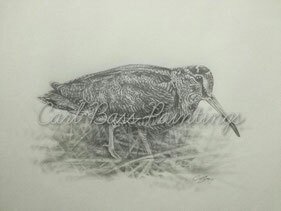 Carl has recently gone back to basics with pencil drawings, but these beautiful detailed images are far from basic. The fine detail and shading brings these stunning pieces of work to life. To see more of Carl's latest drawings visit the Drawings Gallery. 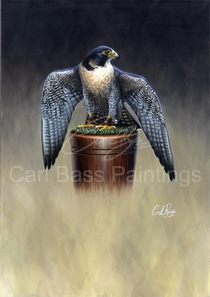 Carl has recently paired up with long time hood maker John Mease of JM Falconry Hoods to start making a new range of hoods. These Painted Hoods (see left) are a great show of craftsman ship and dedication to their work from this pair of artists. 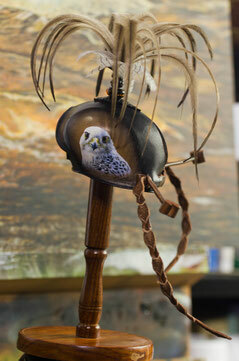 These hoods are a great show of the talent both these artist hold and how they can be versatile in their field of work. Take a further look here on our Painted Hoods page.